California-based carrier with 50-80 trucks that offers full truckload, less-than-truckload, and temperature-controlled shipping services to customers throughout the U.S. and Canada. The freight market along the I-5 corridor (the main interstate highway that runs along the Pacific Coast of the U.S.) can be extremely volatile. Trucking companies face both drastic spikes and major slumps when it comes to volumes throughout the year, making it difficult to hold consistent and reliable revenue sources. 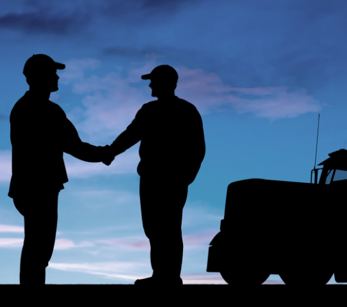 Often, a trucking company will face a situation in which they’ve hired more drivers to meet increased demand, only to fall victim to volatility and suddenly weakened demand. When that happens, they’re forced to lower their rates, lay off drivers, and sell equipment to avoid losses. The Carrier, a California-based company, repeatedly experienced this scenario—specifically with freight in and out of Washington. While they enjoyed high demand for both inbound and outbound capacity in the summer and early fall, other seasons brought unpredictable amounts of business. Trucks traveling to Washington were often left high and dry due to a lack of outbound opportunities in the area. Because the Carrier had no internal sales team in place or strong shipper relationships, this problem was compounded even further. Their shorthanded sales experience, along with an absence of some key value-added services like GPS tracking, made it difficult to earn business from big shippers that could provide consistent freight out of the area. LoadDelivered conducted extensive profiling to determine the Carrier’s needs, true capabilities, and preferences. They met with the Carrier at their facility, helped them assess their long-term goals, and analyzed their delivery locations and lane density. From there, LoadDelivered leveraged proprietary freight matching technology to determine the right shippers to target—a mix of existing LoadDelivered customers and new prospects based on the Carrier’s needs. Acting as their external sales team, LoadDelivered was able to successfully grow the Carrier’s revenue stream and miles per week by securing consistent, year-round business and keeping trucks full. LoadDelivered did this by selling a combination of the Carrier’s core competencies and the value-added services that LoadDelivered was able to provide—like geo-tracking capabilities, EDI integration, extensive food and beverage shipping expertise, and more. Guaranteed capacity at a fixed price for the shipper and recurring revenue for the Carrier, even during peak season, created a win-win scenario for all entities involved. Once LoadDelivered and the Carrier proved themselves by delivering consistent service and value, they locked in year-round rates on key lanes, which in turn brought in more opportunities with top shippers. 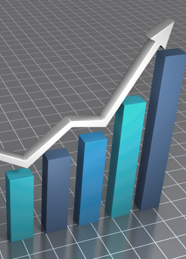 Steadier demand and more predictable revenue coming in yielded several positive results. Growth Opportunities. For the first time in the history of their business, the Carrier felt confident investing in market expansion, adding Utah and Colorado to their service area offerings. Secured Revenue. They landed dedicated business with a multi-billion dollar company, setting them up for even more growth and new business in the future. Fleet Expansion. They were able to buy back equipment they had sold when market volatility was high. Efficient Communication. Because LoadDelivered deployed geo-tracking technology, they reduced emails and phone calls while providing more transparency to their customers. Driver Retention. Dedicated lanes acted as a great incentive for driver retention, as added stability and predictability allowed for more work-life balance. Carriers in the LoadDelivered network have access to freight opportunities from the largest shippers in North America, accelerated payment terms, and a team of experts committed to providing hyper-focused freight matches and continuous volume. Contracts are flexible, meaning we’ll work with you to set up a customized solution that makes sense for your business. Whether you’re looking for a contract logistics provider to bring you long haul, short haul, dry, or temperature-controlled opportunities, signing up with us is quick and painless. Contact our team of contract logistics experts to see how we can provide steady, year-round business, or request to be included in future RFPs.